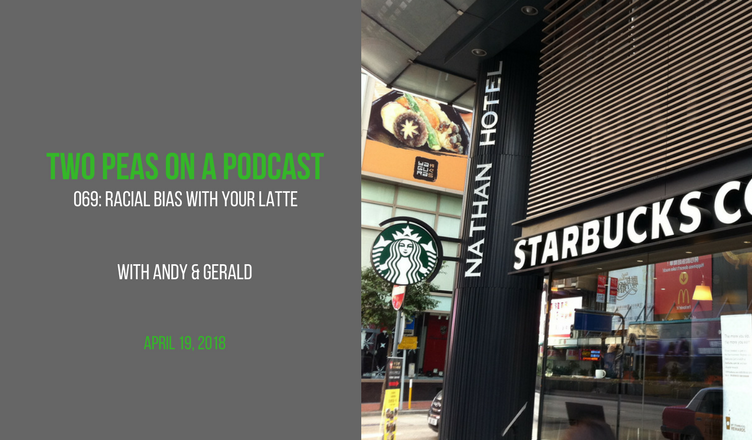 This week’s ONE DEEP TOPIC is the recent racial controversy at a Philadelphia Starbucks. This week’s Entertainment/Pop Culture topics include: “Dancing with the Stars,” Mark Zuckerberg, Kendrick Lamar’s latest achievement, how to dry your hands in public restrooms and much more. Find this week’s #PodernFamily shows on Twitter @ViaVHS and @EpicFilmGuys. Please visit LiveStreamForTheCure for information on the upcoming Live Stream to benefit Cancer Research being headed up by our friends, the Epic Film Guys. Follow us on Twitter @TwoPeasOnAPod and visit us online at Blazing Caribou Studios. “Sexual Healing” by Marvin Gaye. 1982 Columbia Records. All Rights Reserved. “LOVE.” by Kendrick Lamar feat. Zacari. 2017 Aftermath/Interscope. All Rights Reserved.